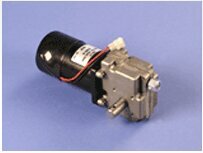 M-9600 Series Motor Gearbox | Venture Mfg. Co.
Venture Mfg. Co.’s customers expect the highest level of quality and operational performance in every product we offer. Engineers and other personnel at Venture always work together not only to meet these expectations but also to exceed them by delivering quality products all the time. 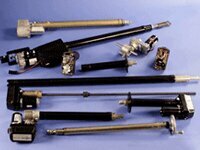 All the products we manufacture provide maximum benefits and optimum cost-effectiveness to customers. Whatever your application may be, you will find the most suitable gearbox system at Venture. We possess a huge inventory of M-9600 Series Gearbox with rigid construction and supreme durability. This series of gearbox systems from Venture is famous for their efficiency, compact size, and high torque to weight ratio, light weight, and modular construction. This versatile heavy duty right angle drive gearbox, which is used in slide out systems, is commonly referred to as center drive systems. M-9600 series gearbox offers exceptional features and ratings specifically tailored to meet unique needs of our client from varied industrial sectors. The diligent efforts of our researchers and experience of our engineers help Venture to respond to the demands of various industries efficiently and in a timely manner.